He has served on the Advisory Board for the National Endowment for the Arts, in Washington, DC, the Fulton County Arts Council for the state of Georgia and the Meet the Composer Foundation Panel in NY City. He continues to serve on the Advisory Committee for the International Dance Competition in Jackson, Mississippi, the International Dance Alliance LTD and on the National Board for Regional Dance America. Up until this year, he was Master Teacher and advisor for the SC Governor's School for the Arts and Humanities Dance Department. Mr. Barnett has been honored by many dance organizations in this country and been an adjudicator or teacher in all five regions represented by Regional Dance America. He was the proud recipient of the State of Georgia's Governor's Award in the Arts for 1987. 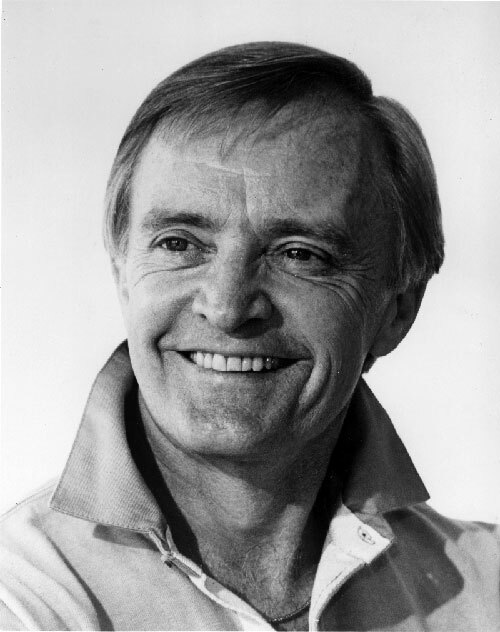 In 1996 he was presented with the ABBY Award for distinguished service in the Arts, presented by the Coca-Cola Company and the greater Metropolitan Chamber of Commerce of Atlanta, GA.
Robert was born in Okanogan, Washington on May 6, 1925. Due to his father's work opportunities the family relocated to Wenatchee, Washington in 1939, where he developed his interest in the arts, in particular dance. He attended Wenatchee High School, graduating in 1943, at which time he joined the Navy during World War II, serving until the summer of 1946. Using his knowledge of tap dancing, he appeared in several shows sponsored by the Army in Tokyo, Japan, while on temporary leave from his Navy duties. Upon completion of his service with the Navy in 1946, he began studying ballet seriously. Living in Los Angeles, CA, he studied under the tutelage of Bronislava Nijinska, made possible by the GI Bill of Rights. After a year and eight months of study, he was invited by the choreographer David Lichine to travel to Europe and join the original Ballet Russe, then performing in Spain and throughout Southern Europe and North Africa. When the Ballet Russe relocated to Paris, France in February of 1949, he continued his studies with two distinguished teachers, Lubov Igorova and Olga Preobrajenska. Returning to the US in the late spring of that year, he spent the summer performing at the Municipal Theater in St. Louis, Missouri and then moved to New York City, where by December he was invited to join the New York City Ballet. Within two years, he was made a soloist and went on to have the honor of having roles created especially for him by George Balanchine, Jerome Robbins and Sir Fredrick Ashton, director of the Royal Ballet in London, England. In 1958, at the request of Dorothy Alexander, Founder and Artistic Director of the Atlanta Civic Ballet since 1929, he and his wife Virginia Rich Barnett, relocated to Atlanta to become principal dancers and associate directors of what would later become the Atlanta Ballet. In 1962, at the time of Ms. Alexander's retirement, Mr. Barnett was asked to assume the role of Artistic Director and he remained in that position until his retirement at the end of May, 1994. Serving the company for 36 years, he was responsible for bringing the coming from pre-professional status to be not only the first professional ballet company in the Southeast, but one of the most respected companies in the country. Since his resignation, Mr. Barnett is called upon to teach, coach and stage his own choreographic works, as well as being authorized by the George Balanchine trust to stage Mr. Balanchine's works in this country and abroad.